This is a 10 month Block of the month class. 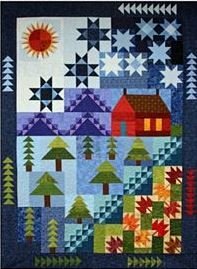 It is a great way to use a variety of scrap fabrics to reduce your fabric collection and make a great quilt. Each month is a different section of the quilt with great possibilities of learning new skills or refreshing old skills, as well as the fun of making a really great quilt. Gather your friends and join us for this BOM!